Cois Abhainn residents committee hosted an event for heritage week: "Remembering the Children of 1916". 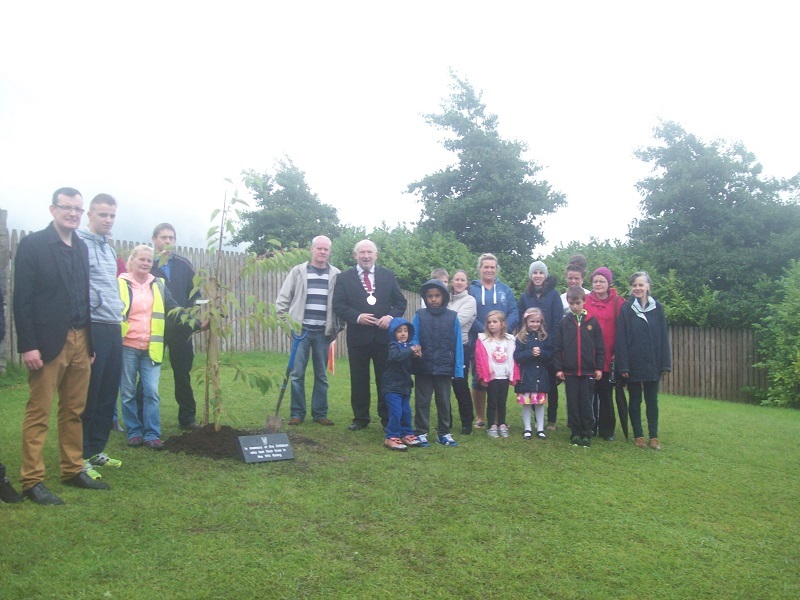 The picture includes residents of Cois Abhainn with Cathaoirleach of the Castlebar Municipal District Michael Kilcoyne. One hundred years ago, a tiny rebellion in a corner of the British Empire helped forge a new nation and altered the lives of millions... but it also ended the lives of 40 children. Until now, many of them have gone unnamed, their final resting places unmarked, their sacrifice unrecognised.